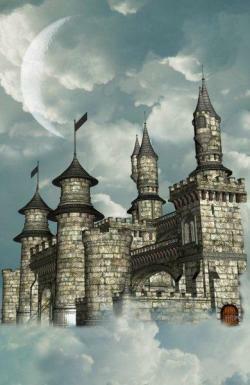 This is the specially selected large sturdy vinyl poster of the Castle which is often referred to in the UnLimited Program. In the equivocal style of a computer game, it sets a challenge for students to understand and work towards. The Castle provides a powerful visual representation to the huge potential each participant has inside them. There are many incredible rooms, including courtyards, swimming pools, and more, that students have the potential to enjoy. However there are often big doors with large latches (negative self concepts) which have to be lifted and opened in order to enjoy the potential behind them. Each latch has a challenging 'Positive Value' for students, as a team and as individuals, to learn, in order to develop the strength to lift the latch and walk through the door. Courage, Acceptance, Honour, Trust and Cooperation are just a few of the 12 Values which they must develop during the UnLimited Program to work together towards their incredible potential.